So as you can probably tell, two of the photos from this post were taken on my phone so the quality isn't the best. This outfit post was the last one shot on the day my camera decided to die mid-shoot and we only managed to get a few images of this look. We took a few quick pictures on my phone and I ended up liking them more than the ones on my camera, so I hope you all don't mind! I don't think I need to stress again how obsessed I am with the Alice Vandy x My Little Pony collection, it's just so fab and the quality is amazing. You can check out how I styled up the catsuit here. I'm currently scheduling the posts that will go out this week whilst I'm in Marrakech, we leave at 3am tomorrow morning (Lord, help me) so today will be a busy one of packing and sorting out any last minute bits. I'm so excited to visit Morocco, it's definitely a place that has been on my bucket list for a while so I can't wait! This is such a cute outfit - I love all the pastels!! 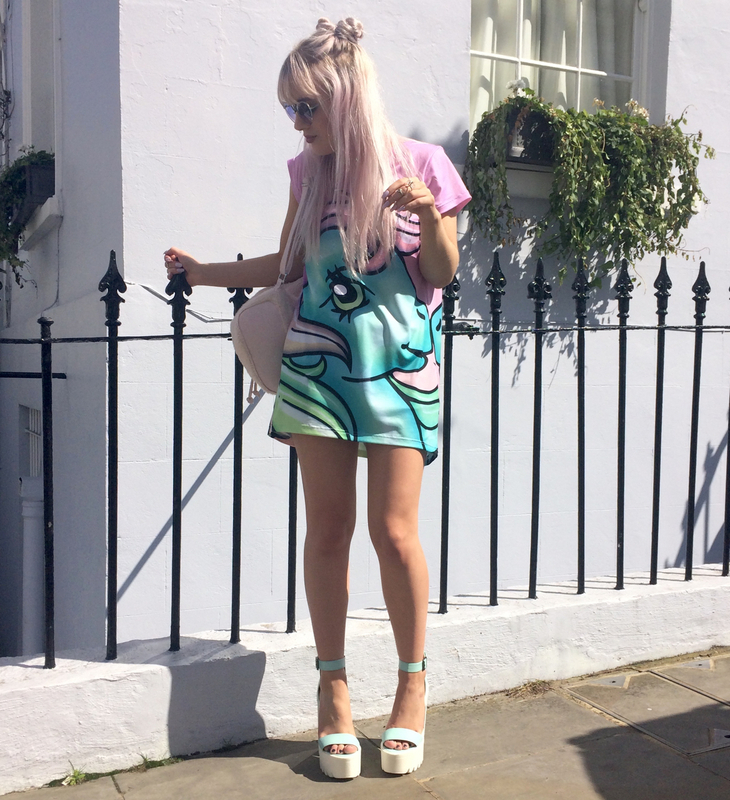 Ah i love the Alice Vandy x My Little Pony collection, i adore pretty much every piece! Great outfit, those sandals are so cute! I didn't notice that these were phone pictures at all!